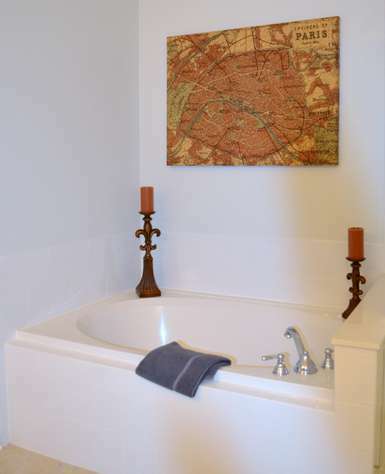 Inspired by different parts of the globe, each room reflects the feeling and décor of a particular region. The world comes together in this wonderful vacation property. 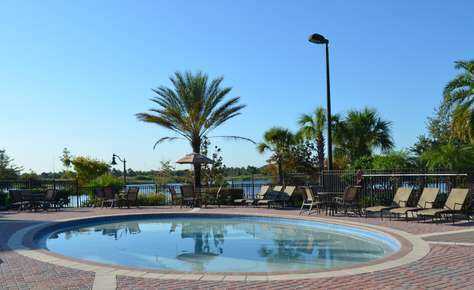 This is an ideal home for families and convention travelers visiting Orlando. You will be amazed as soon as you enter this gorgeous penthouse with the striking setting and the attention to detail. 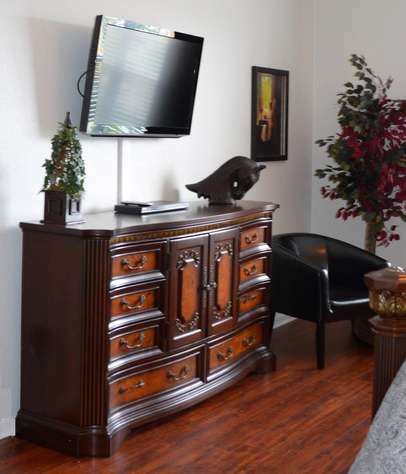 Beautiful furnishings, modern electronics, top of the line appliances and hardwood floors are just some of the features that make this a special place for your stay. The comfortable ultra-modern Scan Design sofa and swivel chairs, large flat-screen T.V, Blu-ray DVD player, Wii console and games will have you feeling so at home, it will be hard to leave to head out to the attraction parks with the family. The fully equipped kitchen is beautifully designed with hardwood cabinets, granite countertops and modern stainless steel appliances. Meal preparation will surely be easy and delightful. 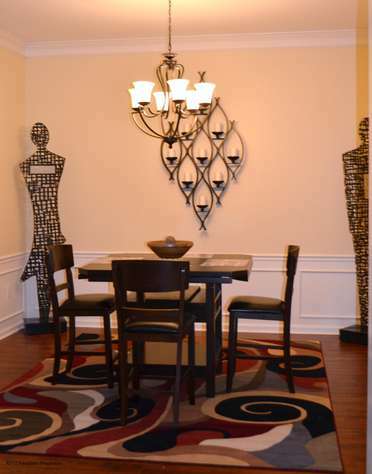 You will feel like you are dining in an elegant Paris bistro when eating in the dining room. The pedestal table offers plenty of room for any gathering. 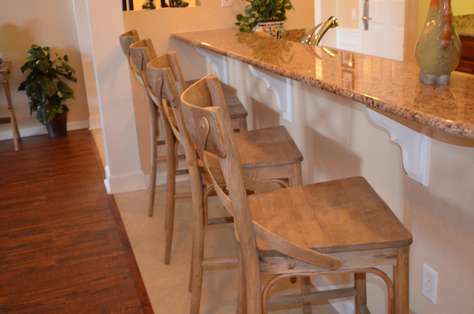 With additional seating from the kitchen bar, you will be able to accommodate up to eight at the table. Whether your plans include candlelight dinners or meals with the whole family, this is the place to enjoy them. A large capacity washer and dryer will ensure that doing laundry during your stay will not keep you away from having fun for long. A hotel safe is provided at the unit for your valuables. Contact us today to book this fantastic penthouse! This property has 1 King(s), 1 Queen(s), 2 Full(s), 1 Pull Out Sofa(s). We loved our time in this unit. 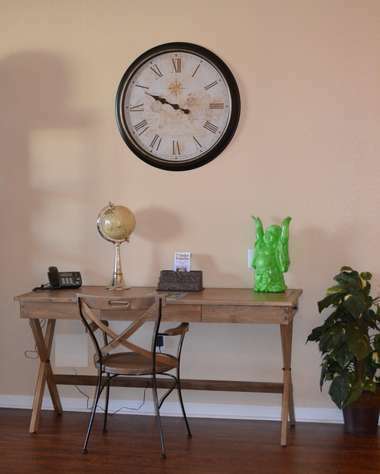 It is super close to the convention center and near the highway for easy access to the parks and airport. We were pleasantly surprised as to how big the place was. The rooms are larger than they appear in the photos. The place is spotless and the decor is beautiful. We were welcomed by a lovely basket of snacks, some cold drinks in the fridge, and nice shampoos and lotions to get us going. Plenty of dishes and utensils to use! It is obvious they care about their guests. We would definitely stay here again. Loved this condo. Very clean and comfortable and convenient to the convention center next door. I wish it had a view of the lake instead of a parking lot but otherwise the place was excellent. We would definitely stay here again. I was very happy with my stay! 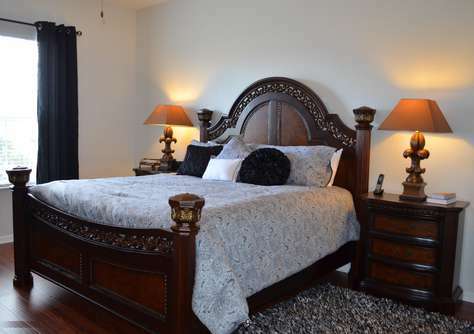 It was beautiful spacious and had everything I needed, it was very clean and well equipped. I would recommend this place to friends as well as rent this place for myself and my family again. 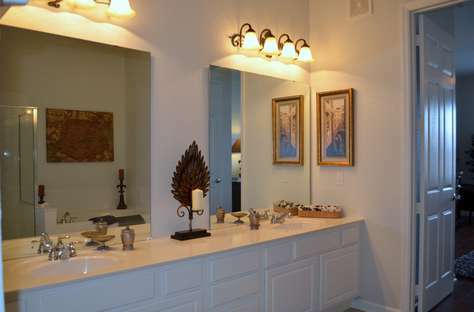 Super clean, super location in Orlando. Highly recommended. Found the condo to reflect the listing. Appreciated the supplies especially laundry, and dishwasher tabs. Unit was very clean. The goodie basket was was a nice treat. Next in area will definitely rent again. Very nice, quiet and beautiful amenities. Close enough to all of the parks and very close to the convention center. Very clean and well supplied condo!! Thanks! This condo is perfect!! It is beautiful and perfectly located near the pool and walking path. We could also easily walk to the convention center. The extra touches were so nice! The welcome basket was a personal touch that was so appreciated! Since we flew, it was wonderful to have most of our necessities already stocked at the condo. The beach towels and beach toys were a great surprise. The decor was beautiful, and the condo was so spacious!!! We will definitely book with ITZ next time we are in Orlando! Bravo!! 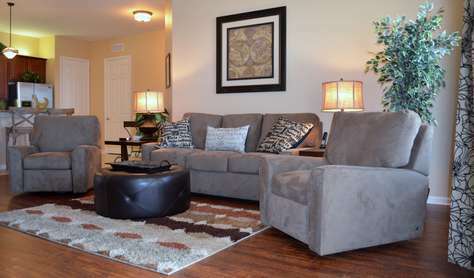 We rented this unit for the Thanksgiving holiday week. We wanted a "condo" rather than a hotel so that we could host a Thanksgiving dinner. The kitchen was gorgeous. We cooked and served a Thanksgiving dinner for 15! The unit itself was beautiful. The beds were VERY comfortable. AND....the unit was very close to Disney. We loved everything about our stay here. I rented this condo for 8 nights because I was in Orlando for back-to-back conferences. I found it to be very convenient for both the convention center conference and driving to the conference at Walt Disney World. There is a grocery store really close so I was able to cook some meals instead of eating out all the time. There were more dishes in the kitchen than many of these types of rentals offer, making it even easier to cook. I really appreciated that it was a quiet community where I was able to relax or work in between meetings. As far as the management company, they were very responsive when I had questions and the property was clean. I would recommend this whether for someone like me or for a family who is in Orlando on vacation. My family and I stayed at this unit is May 2016 and it exceeded our expectations by leaps and bounds! 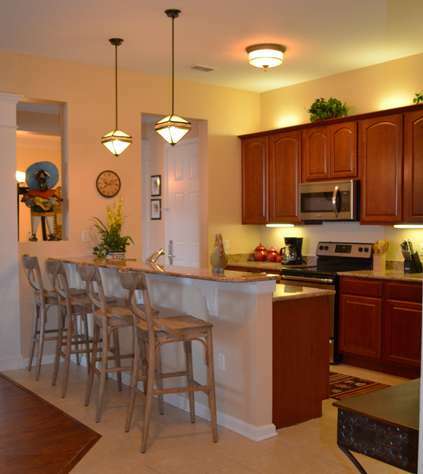 Very clean, beautiful furnishings, quiet surroundings and lots of space. The pool area was very nice and the gym, while somewhat small, was adequate. 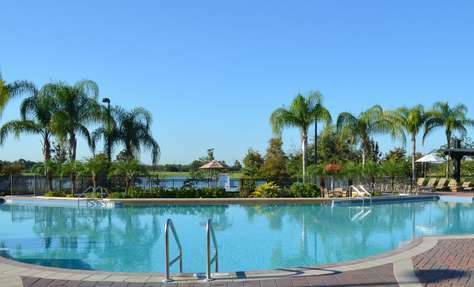 True to the description, the condo is very close to Universal which is where we visited and is also very close to the outlet stores. The welcome basket was also a very nice touch! floor. I really liked the nice touches added such as the spray provided in both bathrooms, paper towels, beach towels and very grateful for the wine basket and treats! Nicely decorated and I would most certainly rent this condo again. One huge disappointment was the bar at the pool was extremely expensive and of course you are not allowed to bring your own cooler. That would or could be my only reason for possibly not renting at Vista Cay again. But the condo itself was awesome!! Thank you! My family of 5 had a great week in this condo. Space and facilities inside were excellent. Really enjoyed pool and bar in vista cay as well and location from airport and parks was great too. Supermarket is nearby too so all in all can make this a cost effective way of seeing Orlando. 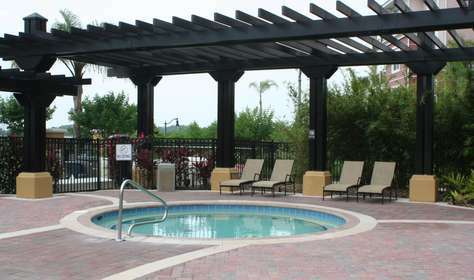 We hired car at airport and also visited both coasts from this condo easily and enjoyed good local restaurants. Highly recommended. Not a bad thing I can say about my time at this unit. 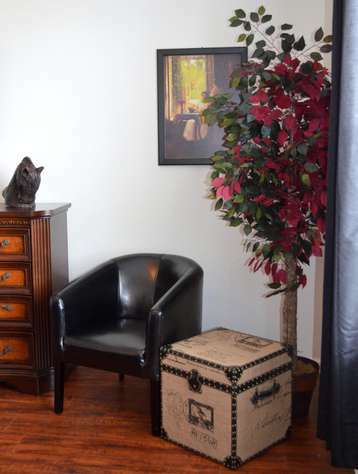 From the gift basket upon arrival to the overall cleanliness and modern style of the furniture. I was here with a group for a convention and its location next to the convention center was fantastic. Looking forward to staying here at the next trade show. Adorei o apartamento: muito amplo, confortável, claro. Todos os eletrodomésticos novíssimos, assim como móveis e utensílios. Condomínio seguro, calmo, localizado muito próximo do que mais interessa em Orlando: os parques e a International Drive, onde estão restaurantes das mais prestigiadas redes. Supermercado a poucas milhas, o que significa conforto. Conforto e praticidade também encontrei na dispensa do uso de chaves da portaria e do apartamento, acessíveis por códigos pessoais numéricos. O condomínio possui uma bela e ampla piscina, onde passei horas agradáveis com a família. Tudo muito moderno e confortável. Recomendo!!!! This was a WONDERFUL unit! It is updated, clean and so so nice with granite counters, hardwood floors, lovely sized bedrooms, great living room and even a dining room. My co-workers and I stayed here for a conference and were able to walk to the convention center (about a 30 minute walk to the WEST Convention Center and about 12 minutes to the SOUTH convention center) The pool and fitness center were so nice, especially to some mountain folks in February! Our hosts were wonderful providing us with snacks and some nice beverages along with toiletries and the basics for our stay...there were even beach towels. It was extraordinarily clean and fresh feeling. We absolutely ADORED staying here and would stay here again in a heartbeat. One of my favorite vacation rentals, EVER! Condo is amazing for the price and it's perfectly nestled between Disney and Universal. Plenty of beds perfect for families or even in this case a group of friends got together and split the cost. I've stayed at this property and previously the Hollywood and I have not been disappointed. The management staff is super professional, friendly, and quick to respond to any issues (like leaving things at the apartment after you leave). After much research, I decided that the Vista Cay Resort was the perfect location for my family's multi-park vacation. This condo is beautifully decorated and spotless. The pictures simply do not do it justice! We have used VRBO for many years to find houses and condos all over the country and this property ranks in the top few. We enjoyed swimming in the pool, relaxing in the hot tub and playing in the game room. The clubhouse was clean and the staff was friendly. I would absolutely recommend this property to anyone looking to escape the chaos of the parks at the end of the day. Excellent place to stay, well situated for all the sights and amenities. Very spacious and clean. We had a great experience from inquiry and booking and through the stay. ITZ Properties were responsive with clear communication and details just as explained. The arrival information was simple and accommodated our unusual check in time with no problem at all. The condo was beautiful and clean and the property overall was very nice, safe and fun for our party of adults and middle school aged kids. The location was perfect for our visits to Disney and Universal. Just hours after checkout we received follow up. I would absolutely recommend this property. Thank you for a great stay. Staying at this property was indeed the best part of our Florida vacation! I had done considerable research on comparable properties and our family of 4 (incl. 2 teenage boys) were more than happy with my selection. In fact my 13 yr old son commented that he "felt like he was at home"; I couldn't ask for a better endorsement. The listing photos are an accurate representation of the unit, although the unit is even nicer once entering the property! The property was clean and everything ready for our arrival. Only recommendation to the owner would be to replace the towels. I think the towels pick up a musty odour over time that is difficult to wash out. But overall the place was immaculate! Location was ideal, with Publix grocery store nearby as well as close proximity to a multitude of restaurants on International Drive. 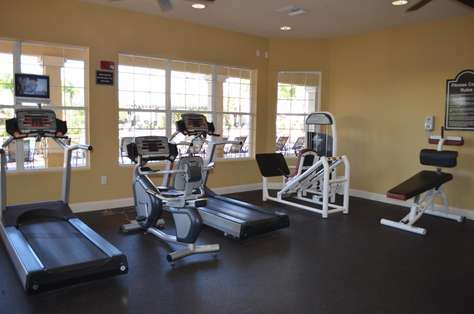 Access to Universal Studios and other attractions are also a short drive away. On a couple days we decided to return to the property early in the day and enjoy the pool, which was also nicely maintained and a great way to soak up some Florida sun. After exhausting ourselves after a day at the theme park or shopping at a mall, it was comforting to be able to kick back and relax in our "home away from home". Highly recommended! 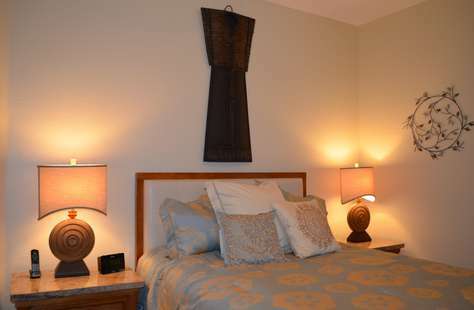 Spacious, clean, well furnished condo. We were very impressed with the property. Every thing we needed was there. Generous supplies made the stay very comfortable. 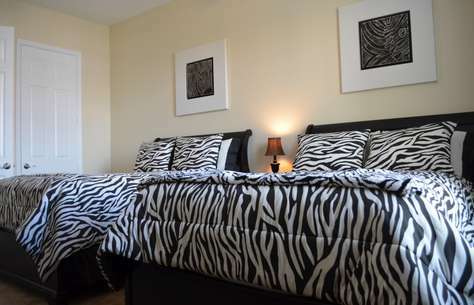 Great bathrooms, very comfortable beds with quality bedding. This condo was very clean and upscale. It is one of the finest we have ever rented. Complex was in great location. Close distance to many major attractions, 8 minutes to Universal Studios. I loved the exercise room. The folks at the club house were very helpful and friendly. The listing was very accurate. The rental company was easy to work with. We would highly recommend this condo. We love the complex and hope to return. I loved this apartament! !.It was great,clean and very confortable;has everything that we needed to have a nice vacation.The owners gave to us a basket with amennities,wine,soft drinks and water.The unit is really the same that in the fotos and the condo is ok too.We enjoy so much and hope return soon.I recommend this property!